The Little Bighorn river, for which the battle is named, as viewed from the trail. 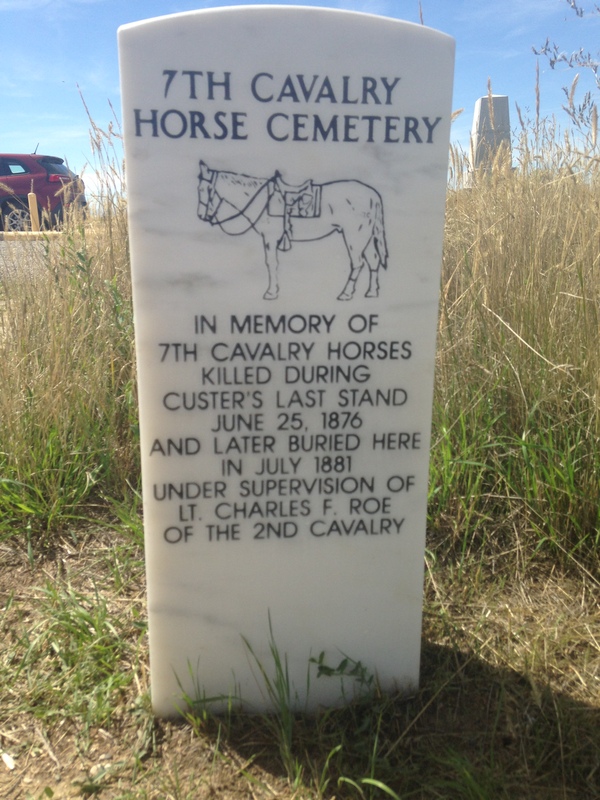 After our stops at the Fetterman Monument and the Wagon Box Fight Monument we were Montana bound to visit the Little Bighorn Battlefield, location of Custer‘s famous ‘Last Stand‘. It continued to be a beautiful day as we traveled north into the great expanses of Montana. Under a big blue ocean of clouds and open sky, we admired the nature and scenery along the way. The Battlefield is easy to find, as it is just a short jog off the interstate (or the highway, depending on where you are coming from) and there is plenty of signage to guide your way. When you first arrive you will notice a large cemetery, parking area and visitor center. I didn’t visit the cemetery or visitor center as I was up-to-speed on the story of the battle and was not interested in the cemetery. We instead dove headfirst into the actual battlefield. Going along the trail, up the first hillside, sits a monument, which has stood since 1881, for the United States Army soldiers who died here. Not far from there is the Native Memorial ‘Peace Through Unity’ to honor those Natives who died in the battle, which was not authorized until 1991. The large, open circular structure is much more inviting, attractive and informational, with sculture, Native accounts of the battle and artwork incorporated into the piece. Although disappointed in how long it took to get it approved and built, I was very pleased to see a memorial for the Natives, who died here fighting to protect their way of life. Although, I don’t know how flattering it really is to get a memorial here, as there is even a cemetery for the horses who died in battle. Seems everyone involved has been memorialized. Panoramic view of the valley where the fighting began. After that you will follow a trail that takes you over the ridges of the hills where the fighting took place. Plan to be there for a while, as the trail is probably 5 or 6 miles long. Driving is ideal, although if you want to hike you can. Points of interest are marked along the way, with pull offs so you can stop your car and take it all in. 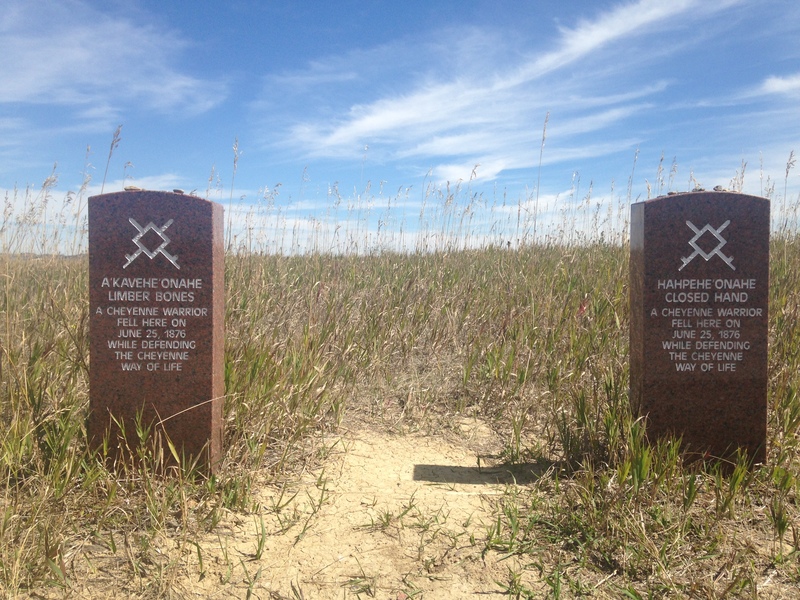 Decades after the battle, Native warriors were finally granted markers to recognize their bravery on the battlefield. I was surprised at how well the site has been preserved. Markers all over the grounds mark where soldiers and warriors fell. The fact that that kind of information hasn’t been lost to time astounds me. Seeing the prairie littered with markers really helps put the events into scope. Whatever you have in mind about the battle, dump it from your mind. You can read about it, study maps, etc but being there will totally change how you see it. 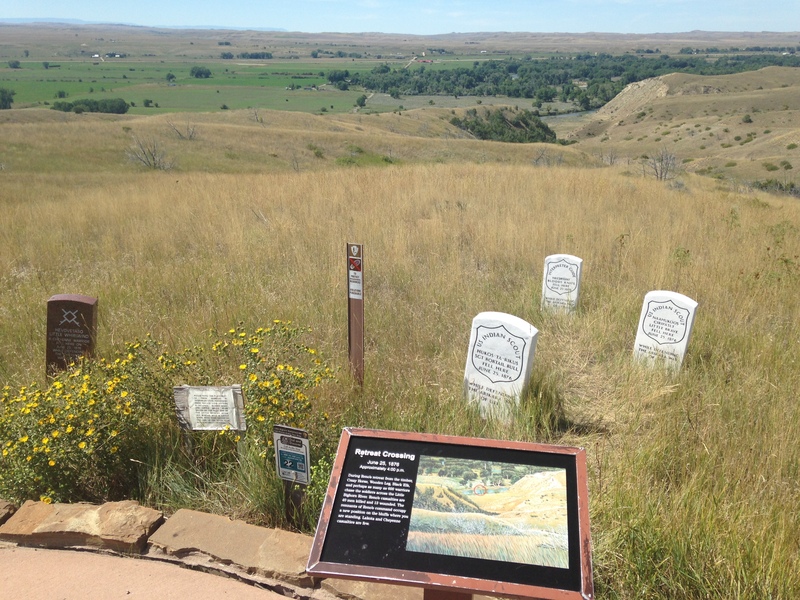 If you are at all interested in Old West, Native American or military history, Little Bighorn Battlefield is a must see. Who: History Buffs, not really for casual looky-loos as this experience will take you a while to take everything in. How: You will be doing a lot of driving, some walking. You can do the whole thing on foot, possibly bike, if brave. Tip: Check out the Custer Battlefield Trading Post. It’s a neat little souvenir shop with a restaurant with awesome Indian Tacos.